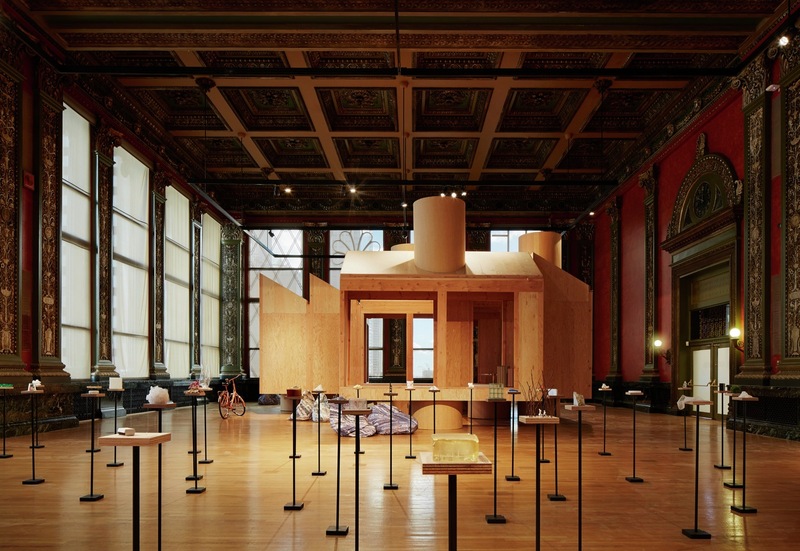 With only one previous iteration, it seems impossible not to continuously compare the upcoming 2017 Chicago Architecture Biennial to its predecessor. And that does not have to be a bad thing. During a panel discussion during the inaugural 2015 Biennial, British architect Sam Jacob was asked what the theme of next biennial should be. His response? In sum: Just do the exact same theme. That way, not only can we see the progress of the field over two years, but then we will also have two events that can be compared, apples to apples. His statement, though somewhat in jest, seems to have been, at least in part, prophetic. With the recent announcement of the participants list, under the artistic direction of Sharon Johnston and Mark Lee of Johnston Marklee, we have our first look at how similar the exhibition may be. And though the list of around 100 offices does include many new names, there are 22 repeats from 2015. There are other similarities between the lists. Neither 2015 nor 2017 include any significant contribution from corporate firms. In 2015 this was a sore point for many of the hundreds of local architects that work in the numerous mega-firms in Chicago. Many local architects admitted to not even having seen the show, despite it being free and only blocks from many of the largest offices in the city. But this is why Jacob’s idea of repetition could end up being so brilliant. First, the biennial is not for the big corporate firms—even if it is being held in the city that is bursting with giants. Biennials are where the most avant-garde architectural discourse is presented. While contemporary large firms often lead the way in engineering and technological daring, they are rarely at the fore of architectural discussion. The nature of their business means that they cannot afford to be. Small, young practices on the other hand, with fewer mouths to feed and less money on the table, can’t afford not to be on the edge. For ambitious young firms, being experimental is the only way to set themselves apart in a world of architecture blogs and Instagram. For good or for bad. One thing the large firms do well is exporting Chicago Architecture to the rest of the world. The biennial is a rare chance for the city, and the U.S. at large, to import some architecture. This factor should never be undervalued. The well-known story of Frank Lloyd Wright being influenced by the Japanese pavilion at the 1893 Columbian Exposition should be enough of a lesson. Chicago is already benefitting from this in the form of the Museum of Contemporary Arts’ upcoming renovation by two 2015 CAB participants, Johnston Marklee and Pedro&Juana. Something can also be said about the quality of the practices being invited. The list, repeats and new firms alike, is filled with excellent firms. The names might not always be familiar or pulled from glossy magazine pages, but the last iteration is proof that these practices are thoughtful yet daring in their architecture. The United States, and Chicago in particular, have a problem with not supporting small and/or young practices. Biennials are a place where that can happen. Another notable similarity is the presence of Johnston and Lee. They were responsible for an exhibit in the main show as well as a solo exhibition at the Museum of Contemporary Art. Johnston was also on the jury for the 2015 Biennial’s Lakefront Kiosk Competition (a program that will not be continuing this year). Only five months out from the September 17 opening, we still don’t know a ton about what the show will be all about. Yet through a close reading of the participant list, and the memory of the last show, we can make some educated guesses about its nature. The overlap of offices, the exclusion of corporate firms, and the main venue of the Chicago Cultural Center tell us the show will likely feel familiar. Yet, knowing the wide range of small, diverse offices, it is just as likely to be full of surprises and architectural ideas that Chicago has not seen.